Listen to the voices of the era as they guide you around the sites in Skibbereen that have direct links to the Great Hunger. Experience the tragedy in the places where the stories unfolded and hear directly from the people who experienced it in West Cork. Local actors (including Jeremy Irons) portray the voices of Dr Dan Donovan, Lord Dufferin and others as they describe what they experienced during the terrible years of the Irish Potato Famine. • Visit the Skibbereen Heritage Centre and download it over high speed WIFI and keep it on your smartphone (no roaming charges once downloaded) for €3. 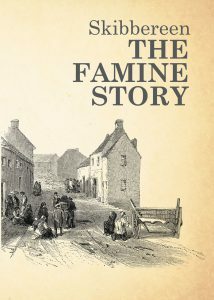 • Use a ‘virtual tour’ version of the app in Skibbereen Heritage Centre’s Famine exhibition.